Great Service. Quality work. Honest company. We have been using AC Comfort Systems for many years now and have found them very reliable, honest, and trustworthy. They also provide prompt quality service. They are punctual and do what they say they are going to do. 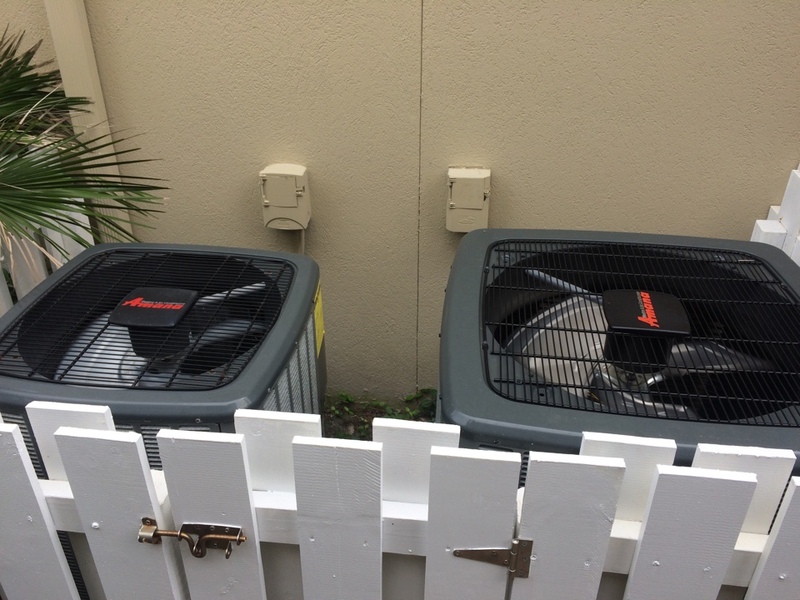 They have worked with our existing AC system and have been great problem solvers. They have honored warranty work and been very fair in quoting prices, giving options, etc. Highly recommend them. Great service - just recommended you on Atlantic Beach Facebook page! Atlanic Beach. Checking A/C that’s not cooling. Because of over flow pan is full of water. Emptied pan and ran system. Cleared drain line that was clogged with algae. Now flowing properly. And system is cooling now. Atlanic Beach. Checking A/C that’s not cooling. Because of over flow pan is full of water. Emptied pan and ran system. Cleared drain line that was clogged with algae. Now flowing properly. Atlanic Beach. Checking A/C that’s not cooling. Because of over flow pan is full of water. Emptied pan and ran system. Atlanic Beach. Checking A/C that’s not cooling. Because of over flow pan is full of water. Atlanic Beach. Checking A/C that’s not cooling. Atlanic Beach. Installed 2.5 ton Amana 14 seer heat pump. Atlanic Beach. 2 system Amana 16 seer summer maintenance. Atlanic Beach. Set up programmable T-Stat. On Memorial Day. Atlanic Beach. A/C not cooling due to salt has damaged condenser coil. Will need to replace condenser. 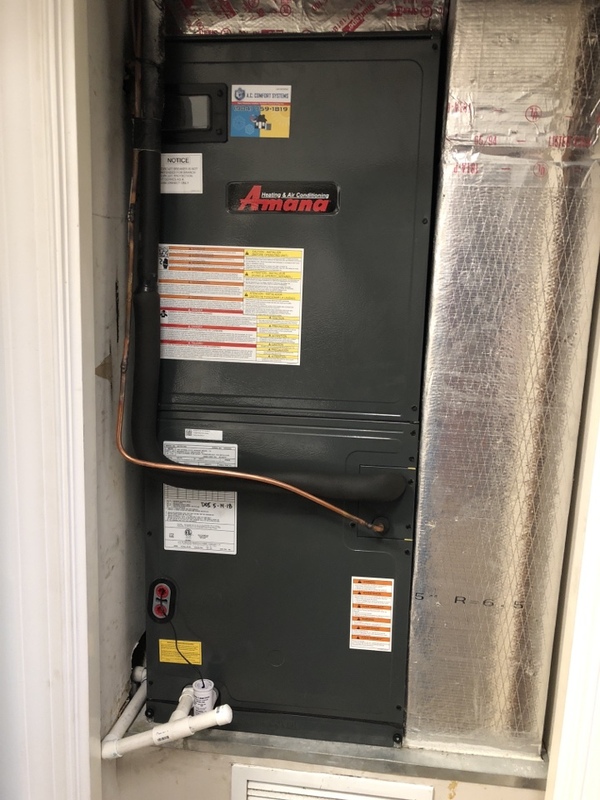 Installed Brand-new Amana 2.5 ton. Atlantic Beach. Free quote to replace heat pump system.